Mention Barcelona and lots of things come to mind, but filmmaking is probably not the first. Yet you’d be surprised how fertile a filmmaking ground this city is, and it’s not just the sunshine. The locals are very film literate and have a long list of festivals to prove it, from D’A and L’Alternativa to In Edit and Mecal. There’s even a festival dedicated entirely to film and football! At a time when obituaries are being written for cinemas all over, Barcelona has seen several new art-house venues open. But it isn’t just film buffs that love this town — so do filmmakers. Plenty of big name directors have come through here, from Woody Allen to Alejandro Iñárritu, but we’re talking about homegrown talent, filmmakers who live and work in Barcelona. 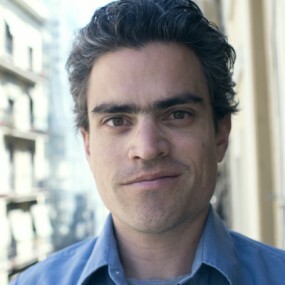 Among them is Andrés Bartos, the writer and director of the short film Lapin, une étrange histoire d’amour. The film is a dark fable about a man who falls in love with a rabbit-like girl and discovers a strange world under his apartment. The director described it to me as “though Before Sunrise were directed by David Lynch possessed by the ghost of Chuck Jones.” Consider my curiosity piqued. I met up with Andrés Bartos to find out more about the film and get his take on what makes Barcelona a good place to shoot a movie. Before we talk about the film, can you tell us a bit about yourself and what brought you to Barcelona? I’m Bolivian born, from La Paz, and I came to Barcelona at 19. That’s 15 years ago! Time flies. I began studying film here, finally studied art and design at the Escola Massana and currently work as a freelance video producer. What makes Barcelona a good place for filmmaking? Earning a living as a filmmaker is a different story, but as a place to make movies Barcelona has it all: artists, designers, writers, actors. The city is awash in talent. As a set, well, every neighbourhood has it’s own character and secrets. In a 15-minute walk you can go from the ritziest to the grittiest. It’s layer upon layer of history and character. In putting together your cast and crew did you use a lot of Barcelona-based talent? Lapin is a small film, but in a cast and crew of around twelve people, there are 9 languages spoken and 9 countries represented. The majority are Barcelona-based except for Florian Bo, the director of photography who lives between here and Vienna, and Jeanne, the lead, who divides her time between Barcelona and Paris. Carles Piera and Aina Vela ran the art department, and they do amazing work here and internationally — you can see what they do in our “team” video. In terms of the actors, I enjoyed working with newcomers like Miklós Beyer as well as more established actors like Lilliana Cabal. Jeanne Morel gives a one-of-a-kind performance as Lapin. Lapin is a very dream-like film, and you decided to use the city in unusual ways. Could you tell us about how you chose the locations for the film and why? 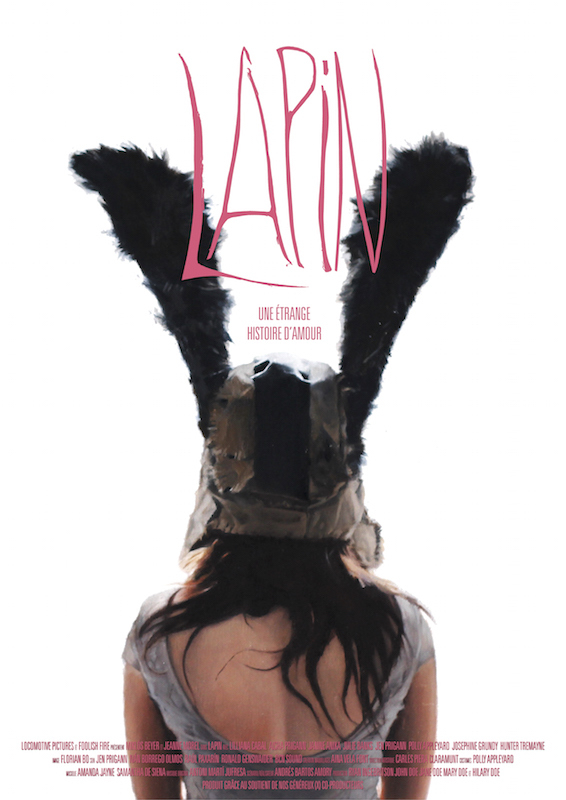 Lapin is a no-budget film so every character and location was written specifically for the person who played the role and with specific places in mind. It might sound silly, but the locations chose me and not the other way around. Exteriors were mostly shot around Montjuic and Poble Sec, where I live, and we shot the “rabbit hole” section in the Colectivo Bajel, a former mechanic’s warehouse that is now a workshop for artists in Poble Nou. The final shot of the film (which I love) overlooks L’Hospitalet. This is an unexpected view of the city. Why did you choose this over more iconic Barcelona panoramas? There’s a tendency to use Barcelona as a picture postcard. I’m not really interested in that. It just wouldn’t make sense with the kind of film we were making. Also, the ending needed a sunset, and the sun sets over L’Hospitalet. Lapin has been shot and edited, and now you’re running a crowdfunding campaign to complete the film. Why did you decide to take the crowdfunding route? This is the bit where I complain about cuts to the arts and filmmaking, right? No, seriously, we weren’t getting anywhere with other forms of financing, so we decided to give it a shot. I’d seen campaigns run by friends and colleagues, and figured we had nothing to lose. Ten days in, we’ve reached 70% of our goal, we have a small community that believes and supports us — it’s pretty incredible when you consider the title character is a rabbit-faced girl. Once Lapin is finished, if you could pick your dream Barcelona cinema for the first screening, which one would it be? Zumzeig in Sants, no doubt — bistro snacking, the comfy chairs — film freak heaven. It would be like coming home. Thanks so much to Andrés for being such a good sport and answering my questions. I really enjoy finding out about projects like this in Barcelona. I wish the whole cast and crew all the best with their crowdfunding campaign and encourage you to make a donation however small so they can reach their target. 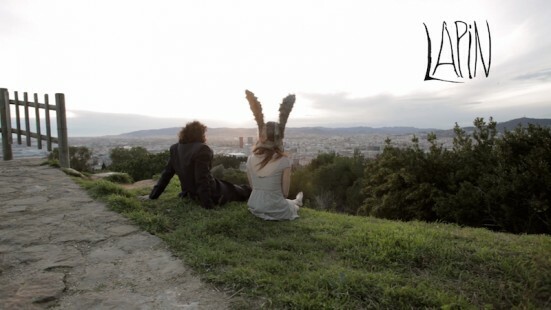 To discover the strange world of Lapin, visit the film’s campaign on indiegogo. You can also watch the trailer and learn more about the cast and crew in the team video. Really strange as a love story, but why not, it is something different, so if you don’t use alternative finance method you will not found investor to do it because classic method doesn’t want to take risk. I noticed this has been posted for some time now. Just curious on what progress did you make and how’d you go with the crowding. This film looks interesting BTW. The campaign was a success Zam. You can contact the writer/director Andrés via his website (www.andresbartos.net) if you’d like to find out what’s happened since.